Student Jobs Africa is Africa’s largest Job board specifically designed for employment needs of university students, graduates and young professionals across the continent. If you believe that Africa is the future, then don’t just believe, join our dedicated team to create a better future for all. Are you ambitious?Are you creative?Do you have strong communication skills? Then you are exactly what we are looking for. To help support the growth of the business we are looking for an individual who will be involved in marketing and business development, working closely with the management and playing a key role in customer interaction.As Business Development Officer you will have a breadth of responsibilities including... Developing marketing materials - traditional and web based Website, e-mail and social media content development Market research in local, national and international markets Generating sales leads, prospecting for new business customers and setting sales appointments fort the management Providing customers and prospective customers with quotes and product information Providing support and attending exhibition events Job Requirements: This is an ideal position for a graduate with some experience. You must have some marketing, business development related experience with Office IT skills. Excellent technical skills in writing, editing, formatting, research, negotiation, and verbal communications Excellent interpersonal skills. Knowlegde and/or interest in the recruitment sector. Nova Pioneer is looking for a temporary, part-time superstar Customer Experience Assistant to help us share the Nova Pioneer story far and wide. We are searching for talented and inspiring individuals who are keen to inspire a passion for our mission in parents, students and the communities that we serve. 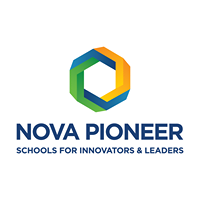 The Customer Experience Assistant at Nova Pioneer will be responsible for: Making phone calls directly to prospective parents who have expressed interest via the website but not yet applied. This person will call interested families and then get their information live so that they can put in an application for them, and then ideally proceed to schedule them. Keep track and update all information on the marketing platform. ABOUT YOU You are a great communicator: You are able to provide a clear and persuasive pitch to anyone and have excellent written and verbal communication skills. You are a people-person with a great memory and organizational skills. You are able to quickly learn FAQs, to be able to provide crucial information/answers to prospective parents. WORKING AT NOVA PIONEER Nova Pioneer is a place where our people experience tremendous growth, fast! We invest heavily in the growth of our people because it leads to greater mastery in both us and our students. “Novaneers” work harder and work longer hours than most schools but as a result, the growth they experience is extraordinary. We offer consistent and ongoing personal development and provide clear career pathways that ensure that our people are always achieving their personal and professional best. Nova Pioneer has a highly energetic, entrepreneurial environment where our people get to bring their creative and innovative ideas to life. We look for people who are flexible and who are able to adapt and respond quickly to adversity with a positive, can-do attitude (there are no problems, only solutions!). We welcome challenges and roll with the punches because it makes us, and our students, better. There is no problem too big for us! We work hard but we also have a lot of fun together. We bring infectious energy and enthusiasm to everything we do because joy fuels the hardest work and learning. Read more about our culture principles here. ABOUT NOVA PIONEER Imagine a world in which every young person across Africa attends a school that truly sets them up for success in the 21st century. A school that cares about individual students and allows them to explore the world around them. A school that focuses more on developing skills than on memorizing content. At Nova Pioneer, we have done more than just imagine this future, we are bringing it to life. Nova Pioneer is a pan-African, independent network of schools offering high quality, accessible education from pre-primary through secondary school. Nova Pioneer uses a unique, enquiry-based learning approach that encourages students to ask “why” instead of telling them the “what”. It allows them to form their own thinking through exploration, investigation and collaboration. Nova Pioneer currently has 8 schools in South Africa and Kenya with a vision to launch 100 schools and reach tens of thousands of students across the African continent in the next decade. To learn more visit www.novapioneer.com. Nova Pioneer is looking for a superstar External Relations Intern to assist in the design and implementation of partnerships efforts across our school network in Kenya. This is an opportunity to create a transformative brand with the future of Africa’s youth at stake. ABOUT NOVA PIONEER Imagine a world in which every young person across Africa attends a school that truly sets them up for success in the 21st century. A school that cares about individual students and allows them to explore the world around them. A school that focuses more on developing skills than on memorizing content. At Nova Pioneer, we have done more than just imagine this future, we are bringing it to life. Nova Pioneer is a pan-African, independent network of schools offering high quality, accessible education from pre-primary through secondary school. Nova Pioneer uses a unique, inquiry-based learning approach that encourages students to ask “why” instead of telling them the “what”. It allows them to form their own thinking through exploration, investigation and collaboration. Nova Pioneer currently has 6 schools in South Africa and 3 schools in Kenya with a vision to launch 100 schools and reach tens of thousands of students across the African continent in the next decade. To learn more visit www.novapioneer.com. ABOUT THE ROLE You will be mainly responsible for telling the Nova Pioneer story to various stakeholders, creating awareness and representing the Nova Pioneer in the community. The role is based in Kenya. You will also : Assist in the understanding of the customer mix, segmenting them, designing and executing an effective engagement strategy based on this analysis. Assist in developing a new lead generation strategy by understanding how and where to connect with partner organizations, and creatively designing engagements that optimize our effectiveness. Assist in organizing and executing Nova Pioneer’s external events that creatively encourage increased engagement with Heads of Schools, teachers and corporates among others. Constantly seek new outreach opportunities for Nova Pioneer to connect with different (but relevant) audiences to raise the profile of our brand in Kenya. ABOUT YOU You have at least 3 months to 1-year experience building and managing important relationships in marketing, communications and/or business development positions. Diploma/Degree in Commerce/Marketing/Business Administration or any other related relevant field. You are a great communicator: You are able to provide a clear and persuasive pitch to anyone and have excellent written and verbal communication skills. You are results driven: You are goal oriented, move fast and take ownership of work. You are entrepreneurial and empathetic. You are able to understand the various Nova Pioneers’ stakeholders and think creatively about how to effectively communicate to them. You are passionate about providing excellent education at an affordable price even if you haven’t worked in education before. You possess great computer skills- proficiency with Excel & PowerPoint You have very strong organization, time management, and follow‐up skills; high sense of urgency; demonstrated ability to successfully handle multiple projects concurrently You have the ability to thrive in a fast‐paced, entrepreneurial environment You possess a growth mindset and a desire to continually improve through feedback, coaching, and professional development. Duration: 3 months with a possibility of extention. HOW TO APPLY Does working at Nova Pioneer excite you? If so, then apply now! Please note: Where a copy of your resume is required, copying and pasting from a formatted document e.g. Microsoft Word may not result in the formatting transferring correctly to the final resume. You are encouraged to attach your resume in PDF format to protect formatting. Applications will be reviewed on an ongoing basis until the right candidate is identified. Only qualified candidates will be invited for interviews. Indigo Telecom Limited is a satellite service provider with a global reach, and with it’s Headquarters in Nairobi Kenya. We are a systems integrator that designs and implements solutions using best of breed technology in a cost effective way. We work with our customers to find the best solutions for them, ensuring that no challenge is too hard which has enabled us to tackle all industry sectors. We are the global provider of choice, and as technology is constantly evolving, our promise to our customers is to regularly invest in providing the best satellite technology solutions on the market Required Skillset: Knowledge of IT and Communication networks Excellent interpersonal skills Excellent communication and self-expression skills Knowledge of social media marketing Well organized and keen to details Prior Sales and Marketing experience in a Telecommunication field will be an added advantage How to Apply Interested candidates to send updated resume to careers@indigo.co.ke. Only Shortlisted candidates will be notified. Digital Marketing Assistant - Work Remote If you have the following skills already that is a huge plus! If not that's ok, were prepared to train an enthusiastic candidate with an abundance of passion but a shortage of expertise. For the best chance of success, the optimal candidate will be familiar with the following and we’ll help you obtain the rest of these marketing skills: • Customer engagement.• Social media marketing including Facebook and Twitter.• Email automation. • Content development.• Staying organized and self-driven. The Genesis Technology Partners is one of the world’s leading digital media service providers, delivering an extensive portfolio of large, fast-growing digital projects in different continents. A global web and mobile enterprise, its reach is rooted across Russia, Ukraine, Asia and Africa through its subsidiary arms. http://gen.tech/We launched our Kenyan subsidiary Tuko.co.ke, a digital news media portal for the Kenyan market that broke boundaries in digital content and technology, making Tuko.co.ke in under 2 years become the number 1 digital portal in the country, ranked alongside google and youtube as the most popular platforms visited by Kenyans. With over 4 million site visitors in a month, the site not only leads in premium content but technological advancement providing clients with innovative marketing tools and opportunities that are exclusive to the brand and unique to the market. www.tuko.co.keAs demand begun to arise from client’s seeking all-rounded digital marketing solutions, Genesis Interactive Ltd was launched to serve the Sub-Sahara African arm with unique, advanced digital advertising and media solutions. http://gmedia.tech/Key responsibilities & deliverables;Genesis Interactive is looking for a qualified copywriter intern to join our digital advertising team. You will be involved in award-winning strategic creative content development and execution;• Collaborate with the creative and business teams to translate business goals into unique marketing and service experiences• Participate in the creative experience - content strategy and thought leadership for the content dispersed on the Agency’s platforms and make the Agency brand into a thought leader in digital marketing and advertising in the market • Participate in creative brainstorms, client briefs and pitches; working with the team to create and pitch award-winning pitches and campaigns that win over the client• Conceptualise digital campaigns, social media applications, websites, banner campaigns, direct concept & copy development (eCRM, direct, DM)• Develop copy for digital elements of multichannel campaigns • Effectively communicate the Agency’s service offering with supporting rationale and thought processing that addresses business and client needs, consequently driving lead conversions• Attend client consultations with the account management team to clarify and internalize the brand's requirements and core messages• Extend global marketing strategies into effective, unique digital marketing experiences online• Work with the team and build an unrivalled online community that evolves to own the online share of voice in digital marketing in Kenya and Africa as a whole via the social communities you build, having high engagement rates and a large following• Familiarize yourself with advertising and promotional material used by competitors and understand the class of consumers the advertiser desires to reach and target advertising to their tastes• Stay up-to date in new creative technologies and analyze new trends and data to identify unique opportunities for the Agency and its clients• Guard against production of deceptive copy or advertisements that may lead to consumer confusion• Scrutinize the syntax and semantics of copy• Work on multiple projects at the same time The individual;People with digital marketing knowledge and experience, who are looking to break boundaries. Go beyond the norm and do something big, reinvent advertising as we know it and make their mark. If you have the passion, have an excellent command of the English language and a proven track-record for creating winning copy/ content, we have the place for you. The Genesis Technology Partners is one of the world’s leading digital media service providers, delivering an extensive portfolio of large, fast-growing digital projects in different continents. A global web and mobile enterprise, its reach is rooted across Russia, Ukraine, Asia and Africa through its subsidiary arms. http://gen.tech/We launched our Kenyan subsidiary Tuko.co.ke, a digital news media portal for the Kenyan market that broke boundaries in digital content and technology, making Tuko.co.ke in under 2 years become the number 1 digital portal in the country, ranked alongside google and youtube as the most popular platforms visited by Kenyans. With over 4 million site visitors in a month, the site not only leads in premium content but technological advancement providing clients with innovative marketing tools and opportunities that are exclusive to the brand and unique to the market. www.tuko.co.keAs demand begun to arise from client’s seeking all-rounded digital marketing solutions, Genesis Interactive Ltd was launched to serve the Sub-Sahara African arm with unique, advanced digital advertising and media solutions. http://gmedia.tech/Key responsibilities & deliverables;Genesis Interactive is looking for a creative, enthusiastic, proficient and versatile video creative with a passion for creating engaging video content for clients in all formats. We are seeking talented video artist to further strengthen our in-house capabilities, get involved with the creative development of video projects, pitching ideas, and leading shoots from end to end delivery.We’re looking for a motivated individual to lead all aspects of a video or advert from concept through final delivery, ensuring that all elements conform to the brand and creative vision. This is a hands-on position that includes;• Executing creative direction• Establishing styles, look and feel, tonality, and ensuring visual consistency and branding across multiple projects• Using creative and technical experience to help craft engaging content across a variety of formats, and continually raising the bar on quality• Being an effective communicator that can handle multiple projects from beginning to end, under tight and evolving deadlines• Extending global marketing strategies into effective, unique digital video marketing experiences• Staying up-to date in new creative technologies and analyzing new trends and data to identify unique opportunities for clients and the CompanyAcademic qualifications• Degree/ equivalent in Marketing/CommunicationWork experience and skills• Digital understanding and experience is essential• Background in independent video production and an obsession with creating shareable viral video content• Must be a proficient camera operator both in video content creation and photography • Must be driven to learn and develop technical and creative skillset with an understanding of lighting and direction• Solid experience with video production and familiarity with DSLR cameras, sound, lighting, and editing• Ability to create animated video content • Proven experience creating compelling video content for the web• Ability to lead people or initiatives, with the potential for leadership and management responsibilities over time• Adobe Creative Cloud (Premier Pro, Photoshop)• A positive, curious, playful disposition• Strong communicator, team playerThe individual;Joining our fast-paced environment provides a unique opportunity to help represent the Genesis brand visually, set global video standards, and innovate with creative sensibility and technical knowledge. If you have the passion and have a proven knack for video creativity, we have the place for you. At Rhino Africa our marketing teams work on projects that aim to inspire those abroad to travel to Africa. Operating in 30 countries worldwide, our content writers and designers ensure that our blogs, communications and websites are consistent, inspirational and informative. Our in-house agency Rhino Africa Digital (RAD) provides us with premium-quality films and photographs that capture the wildlife and landscapes of our continent. Our digital marketers and SEO specialists take a scientific approach to performance marketing in 5 languages, ensuring engagement with users across mobiles, tablets and desktops. To pioneer new ways of showing Africa to the world, we have created the unique Rhino Africa marketing internship programs. These programs have been designed to inject fresh perspectives, new ideas and youthful energy into our ever-evolving workplace, while simultaneously helping our interns to develop their own skills and understanding of our dynamic industry. Marketing internships are available in all of the roles listed below, offering opportunities for English, French, German, Spanish and Portuguese speakers: DIGITAL MARKETING (ENGLISH, FRENCH, GERMAN) Conducting market analysis and research projects Writing copy for PPC marketing campaigns Assisting the SEO team in keyword research and page optimization Monitoring social media performance and increasing Rhino Africa’s online communities Conceptualizing ideas to raise brand awareness for Rhino Africa and its portfolios Compiling collateral for internal and external newsletters Weekly monitoring of Rhino Africa’s social media channels Reporting on social media statistics Generating social media dashboards Assisting our social media manager with strategies and planning DIGITAL MARKETING ANALYSIS Creating dashboards for our social media channels (Facebook, Instagram, YouTube, etc) Providing analysis on organic traffic channels using Google Analytics and other tools Testing and experimenting with different markeitn g tools to increase conversion rates Researching CRO trends and updates SEARCH ENGINE OPTIMIZATION (ENGLISH, FRENCH, GERMAN) Create website pages and upload content using a Content Management System (CMS) Edit and write content for our websites Online competitor analysis Keyword research and keyword universe development Report on how our website pages are performing in Google's search engine Brainstorm SEO strategies and assisting in their implementation and execution PHOTOGRAPHY/VIDEOGRAPHY Liaising daily with our Multimedia Manager and Creative Director to define priorities and timelines Ensuring that all creative output reflects the creative direction and strategy discussed Working closely with our Multimedia team to enhance and develop our creative output Brainstorming ideas and concepts with our team and assisting in the execution of various projects Editing and dealing with all post-production requirements of promotional campaigns Working on video & stills production and adhering to set etiquette Keeping images and videos organised and tagged Editing and retouching images and videos for use DIGITAL DESIGN Designing marketing collateral such as newsletters and banners Retouching and editing photography Optimizing visual content for the web Organising existing file structures CONTENT WRITING & EDITORIAL (ENGLISH, FRENCH, GERMAN, SPANISH, PORTUGUESE) Researching, writing and editing accurate content according to style guidelines and templates Researching facts and information about destinations and service providers Ensuring consistency of tone across various types of content Creating content for our various social media platforms with an understanding of how to reach the users of those platforms Helping with the maintenance and follow-ups of our editorial calendar BENEFITS: THE RHINO CAFE: Whether it’s the life-giving cappuccinos or sinfully satisfying meals, the chefs at Rhino Café are on hand to give you the fuel injection you need to keep going. Grab a bite to eat, drop in for a chat, or simply pass through to catch a glimpse of the latest game. COMPENSATION: We don’t ask our Rhinos to work for free! Every intern receives a salary of R3,000 per month. EMPLOYMENT OPPORTUNITIES: We’re constantly evolving, which means that there are always new positions opening up. DIVERSE CULTURE: Rhino Africa is a fun, challenging, fast-paced place to work. We’re one big family. Interns are encouraged to soak up our culture and participate in social and community events. LIFE-LONG LEARNING: We understand the importance of our team members establishing themselves as leaders in their own right. We ensure that interns leave our offices with invaluable skills that will help them continue on their own paths to success. DIRECT MENTORSHIP: Every intern is assigned a mentor to guide them through the program. This mentor will lead individual workshops designed to develop your skills and knowledge. Our mantra is simple: the easiest way to improve is to learn from the best. ONLINE DEVELOPMENT COURSES: Online courses with Lynda.com will be offered to help our interns develop the precise range of skills they wish to focus on. These courses span the fields listed below: MARKETING WORKSHOPS: Introduction to Online Marketing Social Media in international Markets Introduction to competitive analysis Style and writing workshop Google Analytics and Excel How Online Analytics Work SEO Basics and International SEO Writing for the Web Introduction to Google Analytics Introduction to Google Search Console Introduction to Moz Excel for Beginners Ronin Gimble Essential Training Drone Flying Advanced Camera Operation (FS700, A7s) Premier Pro Editing Workflow & Techniques Advanced Colour Correcting (Da Vinci, Lumetri & Film Convert) After Effects Essential Training & Title Animation Lighting Fundamentals Photography - Tips & Getting The Shot Photoshop Essential Training Illustrator Essential training Branding Fundamentals Design fundamentals Correct file structuring for projects HTML and CSS Basics Writing and grammar Introduction to project management If you are interested in any of the above internship opportunities then feel free to send an email to careers@rhinoafrica.com or phone +27 21 469 2600. We are looking forward to hearing from you!